Spanning an area of half a million square feet and with an approximate capacity of 20,000, the arena is set to enhance Dubai’s leisure and entertainment offering and become the ‘go to’ venue for large scale international music concerts, sporting events such as hockey and NBA as well as other entertainment events. 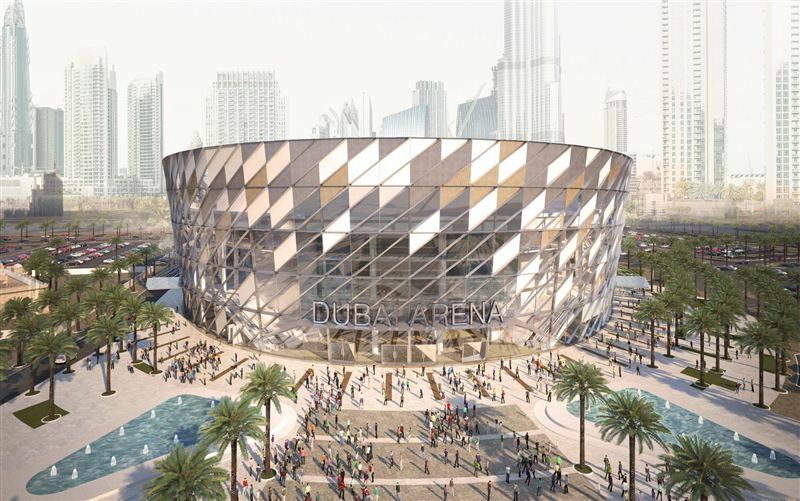 Dubai Arena will be the only all-purpose indoor air conditioned arena of its size in the entire region and will boast an advanced infrastructure allowing it to accommodate mega-events. Strategically located at City Walk with close proximity to the Dubai International Airport and accessible via the Dubai Metro, the new venue will be at the heart of Dubai’s latest urban lifestyle destination surrounded by a plethora of hospitality, F&B, entertainment and shopping options. Ground has been broken for the project and is expected to be completed in the last quarter of 2018. Managing Dubai Arena will be international venue management company, AEG Ogden, part of Anschutz Entertainment Group a wholly owned subsidiary of the Anschutz Company that owns, controls or is affiliated with a collection of companies including over 100 of the world’s preeminent facilities such as The O2 in London, the Staples Centre in Los Angeles, the Mercedes Benz Arena in Shanghai and Qudos Bank Arena in Australia. 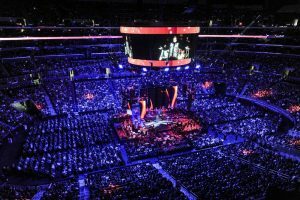 Dubai Arena is designed to have automated malleable seats which enables the venue to transform according to the scale of the event being held, no matter how small or big it is. It will also be able to host large scale weddings requiring extremely grand decorations and unconventional set-up which cannot be accommodated elsewhere. 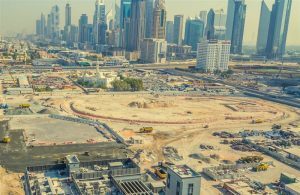 It will allow Dubai Arena to be included alongside other major international cities such as London, Sydney and New York in hosting major touring events. 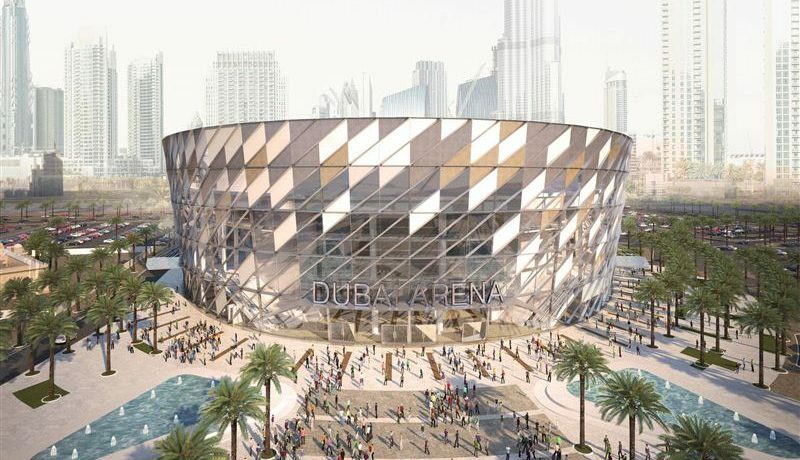 The project management contract for the destination was awarded to DXB Entertainment PJSC who are responsible to oversee the design and construction of Dubai Arena. According to PwC, strong economic growth, high disposable income, increasing domestic and international tourism has a positive stimulus on the Leisure and Entertainment industry which is set to double by 2021 to attract 45 million visitors. Dubai has succeeded in developing transport links, accommodation, and the food and beverage sector which in turn contribute positively to the expansion of the Leisure and Entertainment segment driven by an increasing demand for family entertainment and multicultural attractions. Dubai Arena joins Meraas’ extensive line-up of exceptional destinations, designed to create a unique appeal for residents and tourists and bring novelty experiences to Dubai, reinforcing its position on the world tourism map.